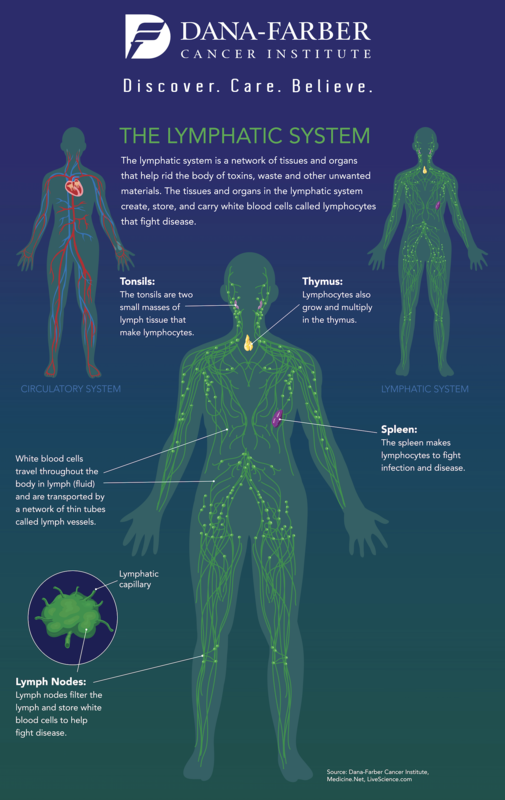 A vital structure to the human body, the lymphatic system is a complex and important part of the immune system that helps maintain fluid balance within our tissues. Acting as a filter, it pushes lymph (a clear, watery fluid that contains white blood cells, oxygen, and other nutrients) throughout the smallest branches of blood vessels and washes the body’s cells. This destroys old or abnormal cells, such as cancer cells, and fights bacteria and infections. Besides lymph, this intricate system includes lymphatic capillaries, lymph vessels and lymph nodes, the spleen, tonsils, and the thymus. Learn more about how these important components work together to keep the body healthy in the infographic below. This is very true and important for people to know – thanks for sharing.